Alhamdulillah, we are now in the early part of the blessed month of Sha’ban. Maulana Shaykh Nazim has advised all mureeds to recite between 500 and 1000 selawats (daroods) upon Rasulullah (saw) daily. Note the secret revealed by Shaykh Abdul Qadir Jilani here: In this month, ask through the Owner of the Month….in his latest supplication (do’a) on Saltanat given just two days ago, Maulana was beseeching Allah to make us all pure ones, by the honour of His Most beloved, Sayyidina Rasulullah (saw). You may watch that do’a here. The month of Rajab ended on either 26th or 27th of April 2017, depending whether it was 29 or 30 days. So the middle of Sha’ban, may be on the 11th of or 12th of May. As such, the night known as Lailatul Bara’a, the Night of Absolution, is either on Wednesday night, 10th of May 2017, or on Thursday night, 11th of May 2017. Once we have news from Maulana about this, we shall inform everyone. The Night of Absolution has been called ‘blessed’, because it is a vessel for the mercy, blessing, benefit, pardon and forgiveness descending for the people on earth. The Holy Prophet (saw) said, “On the night of the middle of Sha’ban, Allah (‘azza wa jalla) descends to the heaven of this lower world and forgives every Muslim, except only the idolater, the bearer of malice (hasad), the breaker of family ties, and the woman who is sexually promiscuous (committing zina).” Also mentioned in another hadees, are that those who practice sorcery (sihir), or are addicted to wine, or who collect interest (riba’) are not forgiven, till they repent. Three hundred gates of Mercy open on this night, and they remain open till fajr. In another hadees, Rasulullah (saw) said, “This night is when all births are recorded for this year, and every death is registered. This is when provisions are allotted to mankind, and their deeds and actions are gathered up.” On this night, it is recorded who will perform pilgrimage, and who will marry, in the coming year, and not one name will be added or omitted. There is a special prayer to be done on this night, called Solatul Khair. The full adab of worship on that special night was posted on SufiHub last year. Please read it here. In addition to Solatul Khair, this is another special Solat done on this night. It is a 4 raka’at prayer, done at one go with one salam at the end, that is done, so that the reward of it is donated to all people whom you have harmed and sinned against, so that Allah will use the reward to satisfy their claims on the Day of Resurrection, if He so wills. 3rd raka’at: Surah al-Fatihah, followed by Surah al-Ikhlas (Qul hu Allau ahad) 10 times, and Surah al-Takathur (Alha kumu takathur), 1 time. Surah al-Takathur is Surah number 102. 4th raka’at: Surah al-Fatihah, followed by Surah al-Ikhlas (Qul hu Allau ahad) 15 times, and Ayatul Kusi 1 time. Then donate the spiritual reward of the performance of this prayer, to all those enemies who will have a claim against you on Judgement Day. 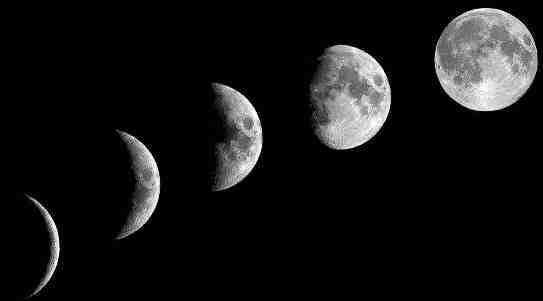 In order to observe the Night of Bara`a, one should remain awake on this night as much as possible. If someone has the opportunity, he or she should spend the whole night in worship and prayer. However, if one cannot do so for one reason or another, he can select a considerable portion of the night, preferably the second half of it, for this purpose, and one should perform Solatul Khair and Solatul Khusamah. The Night of Bara`ah is a night in which special blessings are directed towards the Muslims. Therefore, this night should be spent in total submission to Allah Almighty, and one should refrain from all those activities which may displease Allah. On the day immediately following the Night of Bara`ah, i.e. the 15th of Sha`ban, it is advisable to keep fast. Prophet Muhammad (saw) is reported to have recommended this fast emphatically. Therefore, it is advisable to fast on the 15th of Sha`ban as an optional (nafl) fast. One can also keep a fast of qada‘ on this day too. Besides fasting, our Shuyukh also perform a sacrifice of a goat/sheep (kurban) on this day, as a ransom for oneself and one’s family, and distribute its meat to the needy. “Anyone who fasts on the last Monday of Sha’aban will be granted forgiveness.” This year (1438), the last Monday falls on the 22nd May 2017. One can also make intention to also fast as a Sunnah on that day as Prophet (saw) used to fast on Mondays and Thursdays, and one can also make intention to pay back a missed compulsory fast on that day too (qada’). In many Hadeeth, it is reported that Prophet Muhammad (saw) fasted more in Sha’ban than in any other month. So you may want to fast frequently too in this month, not just on the 15th and the last Monday of Sha’ban.